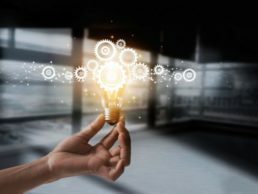 Some people want to give the impression that being innovative is the exclusive preserve of a few egg-heads in the product development or research department of organizations – not true! Everyone one is creative and can tap into their creative abilities to come up with exciting and innovative solutions to real-life problems and opportunities. When faced with a challenge, problem or opportunity, take time to ask as many questions about the challenge as possible, and try to work as a team to have a shared understanding of the challenge. The clearer you are, the closer you will be to an answer. Often rather than take this first critical step, many professionals just abandon the challenge or delegate it to an external consultant, a supervisor or one of the “genius” colleagues in the office. The reason why it is difficult is that you do not have a clear understanding of it. Thankfully in our information age, you can learn everything about almost anything from the internet, or at least the internet can direct you to richer sources of information. Creative people dig into books or get direction from mentors and coaches as they search for answers. They go beyond just acquiring new knowledge to being audacious enough to apply or practice what they have learnt and even teach others. Armed with your innovative solution, you can implement it and make changes to the existing systems, processes, policies or procedures. As you do so, be mindful of the need to manage the people-side of these changes by engaging and carrying others along.